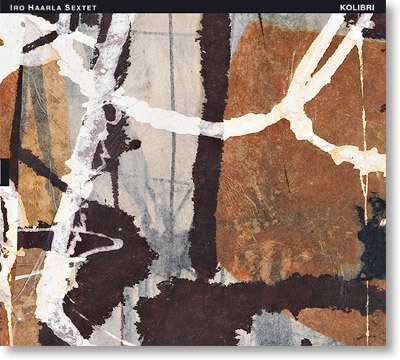 Kolibri is the first recording by the Iro Haarla Sextet, which is comprised of six highly regarded Finnish improvisers, each of whom is recognized as a leading proponent on his or her chosen instrument. They are also all leaders or co-leaders of their own highly-lauded groups. The sextet was founded in 2009. Compared to her Finnish-Norwegian quintet that has recently released two highly-acclaimed recordings on ECM Records, for Kolibri, Iro Haarla has utilized the additional compositional possibilities offered by the three-horn front line of her sextet. She has chosen seven unique, multi-faceted compositions that, at times, approach almost a big band like complexity in their arrangements. In addition to the piano, Haarla plays chen, a Taiwanese folk instrument, on two compositions. Besides Haarla, featured soloists include trumpeter Verneri Pohjola, one of the highest regarded young instrumentalists to come out of Finland in recent years, saxophonist Kari Heinilä and trombonist Jari Hongisto, both leaders on their own instruments whose careers and also collaborations with Haarla already began in the 1980s, as well as bassist Ulf Krokfors and drummer Markku Ounaskari, who have formed one of the best rhythm sections in Finnish modern jazz for almost as long.